Do you have a sanctuary at home? A home spa can bring you rewarding pleasures after a long day at work. It becomes a comfortable place where you can nurture your body and relax. A spa in your home allows you to give and receive treatments that would normally only be available in fancy spas. You might also want to look into a swim spa which can be both a source of relaxation and exercise. Creating your own spa can help bring balance and peace in your busy life and it can also improve your health. It combines several techniques that have all been proven to improve relaxation. Here are a few words that you should know before experiencing the benefits of your spa. Exfoliate. To strip dead skin cells from the surface of your skin. Exfoliant. A cosmetic mixture used to remove dead cells from the surface of the skin. Spa. A place where you can relax and improve your overall health through springs, massage, exercise equipment, etc. Hydrotherapy. The use of water as part of a treatment. First, you will need to ensure that your home relaxation room has the right spa equipment. Learn how to make your own body scrub exfoliating products. Do you want to spoil yourself or your girlfriends? Why not try these manicure, pedicure, facial and other home spa relaxation treatments.. Instructions on how to give an exfoliating body scrub. Learn how to enjoy these wonderful spa treatments in the convenience of your home. Instructions on how to give yourself (or someone else) a relaxation foot massage. 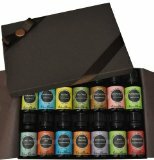 You can also purchase excellent homemade products from such reputable companies as LUSH Cosmetics. Have a look at these Solid Shampoo Recipes or Solid Shampoo Bars. Learn how to make your own perfume using this Solid Perfume Recipe or purchase some homemade solid perfumes from LUSH Cosmetics. Learn how to make your Homemade Hand Cream Recipes, and other Hand Cream Recipes to purchase. You can also try out this Best Hand Lotion Recipe or view other Homemade Hand Lotion Recipes. The right bath and body shower gel can help you relax and wind down at the end of the day or invigorate you early in the morning. If you perspire a lot or have foot odor problems, you can also pamper yourself with natural dusting powder. Creating your very own home spa will improve your quality of life. Learning to give spa treatments is not difficult and you will soon be mastering a few techniques that your partner will greatly appreciate. Who knows, he/she may be so grateful that the favor will be returned faster than you think!